and of course, making new friendships. a big thank you to Darlene, the design team coordinator. She is one amazing team leader! Christina Griffith's blog HERE, where you will find she has also put together a short video. Here is my card base after scoring and folding at the required measurements. square Nestabilities die from Spellbinders. and glued it to the centre of the diamond top. For the lower part of my card I cut a piece of blue card and a smaller piece of yellow card. Jennifer McGuire's blog HERE, using the Lawn Fawn - Stitched Borders. She has used these dies in various ways with such a great effect. and run it through my die cutting machine. I continued doing this, until the whole piece was embossed. I then glued it to the blue card and glued it to the base card. 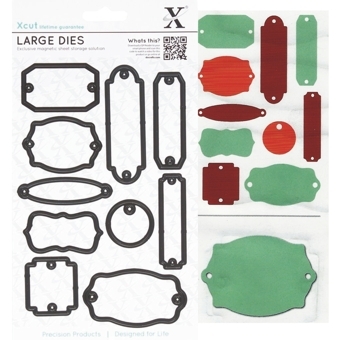 X-Cut - Decorative Dies Large - Tags and Bookplates to make a tag. cut with scissors and used as a matt for the sentiment. I placed it in position with 3D foam pads, and then added the diamantes. Janice, this is so sweet! I love the stitched background idea. What a great way to add texture without adding layers. I've never seen this diamond style card either. You've given me all kinds of inspiration I want to try! I'm so glad to have had this opportunity to work with you. I'll be seeing you on your blog! Love the new fun fold, always fun to see new things :) I love those stitched dies, you can use them in so many ways, I had that idea written down as ones to try but hadn't done it yet :) You showed it beautifully, your cupcake is so cute, great card! I have not tried this fold, the cupcake is perfect for it! great job!